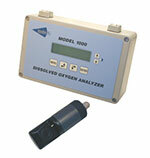 The InsiteIG Model 1000 single channel dissolved oxygen analyzer is a unique system that combines advanced electronics with a solid-state optical sensor. No other dissolved oxygen system can compare with the features and benefits of this revolutionary design. The Model 10 sensor utilizes an optical technique that does not consume oxygen like all standard membrane sensors. The InsiteIG 20 Series System is comprised of a Process Transmitter, Sensor Transmitters, DO Probes, SS Probes, and pH/ORP Probes. The 20 Series System will support wireless communications with up to 16 probes in any combination. The system is designed for flexibility with economical process monitoring and control. 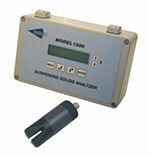 The InsiteIG Model 1500 single channel suspended solids analyzer is a unique system that combines advanced electronics with a solid-state optical sensor. No other suspended solids system can compare with the features and benefits of this revolutionary design. The Model 15 sensor utilizes optical principals based on the near infrared (880nm) range. The Model 15 sensor is designed to measure the solids concentrations in biological reactors, open RAS or WAS channels, and clarifier influent channels. The Model 10 Dissolved Oxygen Sensor incorporates optical fluorescent technology, solid state electronics, and a unique side mount element. Our optical fluorescent technology provides increased dependability, no routine calibration and no need for flow, because there is no oxygen consumption. The solid state electronics means no membranes, no fill solutions, and reliable digital communications up to 2000ft. 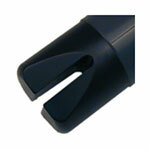 Our side mount element increases impact protection and facilitates the integrated jet clean. Our continuous DO sensors come standard with tool free ¼" O.D. tubing connectors for the integrated jet clean and 33ft (10m) of sensor communications cable. Additional cable length is available upon request. The InsiteIG Model 2000 dual channel process analyzer is a unique system that combines advanced electronics with solid-state optical sensors. The analyzer will accept any combination of two sensors, (DO, SS, pH and ORP) and automatically configure for the correct operation. 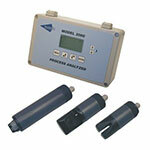 The system allows for flexible and economical process monitoring and control. The DO sensor does not need membranes, fill solutions, nor routine calibrations and maintenance. The SS sensor is based on near infrared technology, which eliminates inaccuracies caused by changes in the process color or changes in particle size. The pH and ORP electrodes are both flat glass, with double reference junctions, and temperature compensated. Both probes feature quick disconnect cartridge design for easy maintenance and fast changes. The Model 15 Suspended Solids Sensor incorporates near infrared technology, solid state electronics, and custom geometry. Our near infrared technology provides increased dependability of the reading when color changes in the solids occur. Our solid state electronics increases consistency of the reading and reliable digital communications up to 2000 ft. Our custom geometry optimizes the sensor for its measurement range and facilitates the integrated jet clean. Our continuous SS sensors come standard with tool free ¼" O. D. tubing connectors for the integrated jet clean and 33ft (10m) of sensor communications cable. Additional cable length is available upon request. The InsiteIG Model MPA48 multi-channel analyzer is a unique system that combines advanced electronics with solid-state optical sensors. The analyzer will accept any combination of 1 to 8 sensors (DO, SS, pH, and ORP) and automatically configure for the correct operation. The system allows for flexible and economical process monitoring and control. The DO sensor does not need membranes, fill solutions, nor routine calibrations and maintenance. The SS sensor is based on near infrared technology, which eliminates inaccuracies caused by changes in the process color or changes in particle size. The pH and ORP electrodes are both flat glass, with double reference junctions, and temperature compensated. Both probes feature quick disconnect cartridge design for easy maintenance and fast changes.